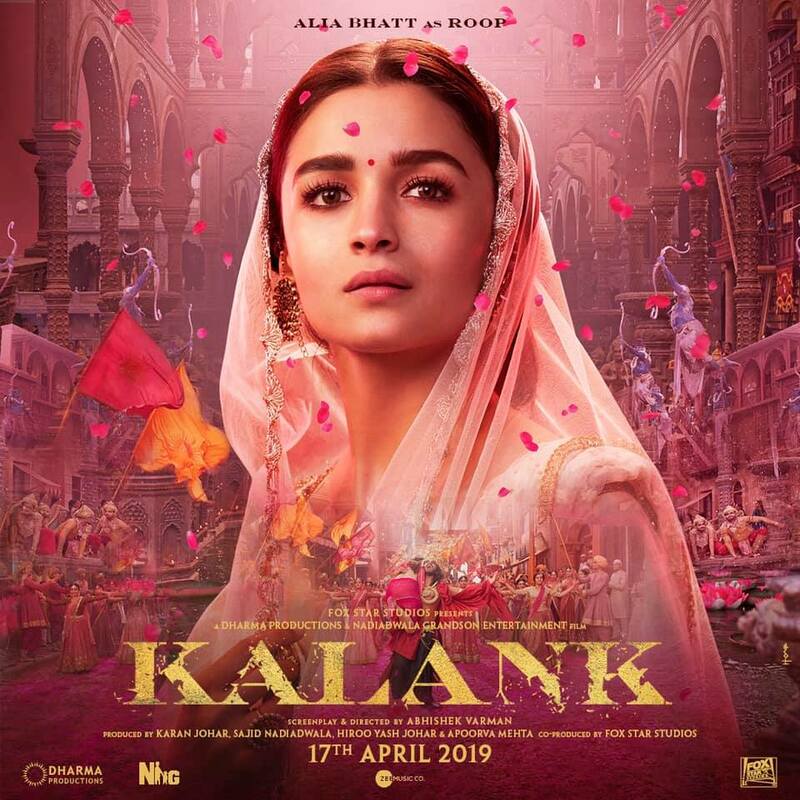 More about Kalank – the spellbinding tale of eternal love including a mini synopsis! 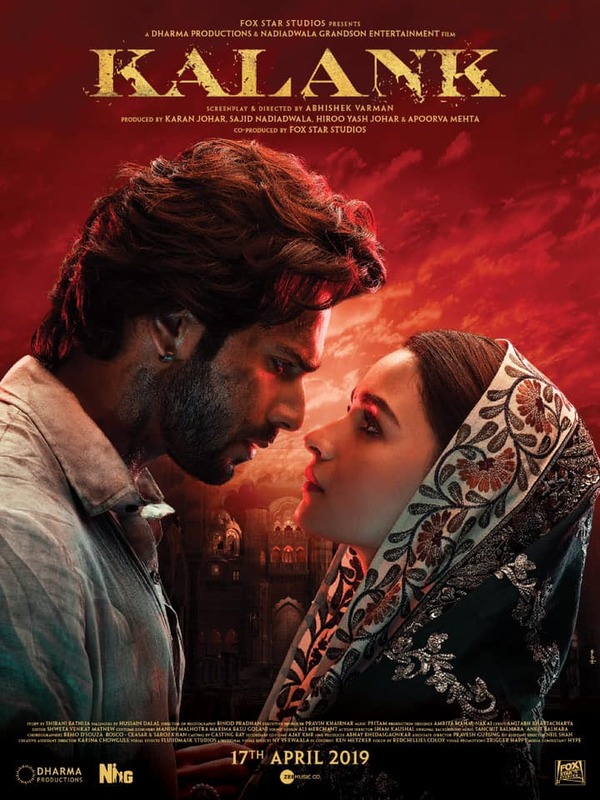 We had our first full look at the epic tale of eternal love, Kalank, when the trailer debuted on April 3rd! Fans and critics… well everyone were blown away by the incredible pictures and story that this film tells! In fact, on YouTube, the trailer has already garnered over 20 million views and counting! Directed by Abhishek Varman, who also wrote the screenplay and Produced by Karan Johar, Kalank is an epic romantic drama of six enigmatic, esoteric and wistful characters entangled in search of love but separated by the dichotomy between the two worlds of Husnabad, a town in North India. 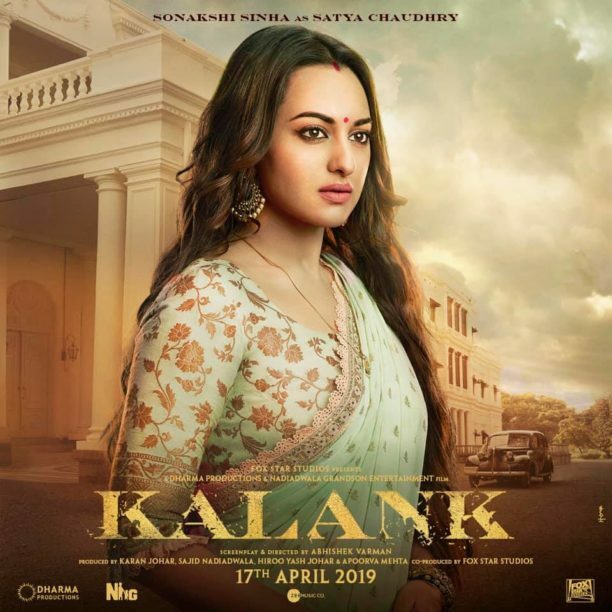 The trailer and the film’s story depicts a tale of forbidden love, longing and relationships against a backdrop of civil unrest in the pre-independence era of 1945 India. 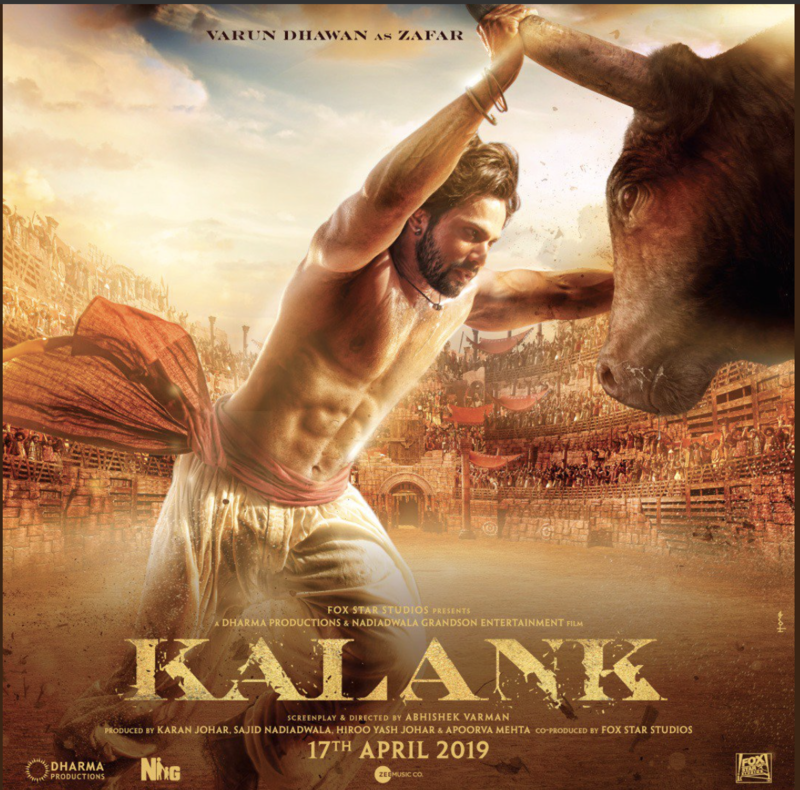 Kalank features an electrifying and incredible ensemble star cast including Varun Dhawan as Zafar, Alia Bhatt as Roop, Aditya Roy Kapur as Dev Chaudhry, Sonakshi Sinha as Satya Chaudhry, Sanjay Dutt as Balraj Chaudhry and Madhuri Dixit as Bahaar Begum. 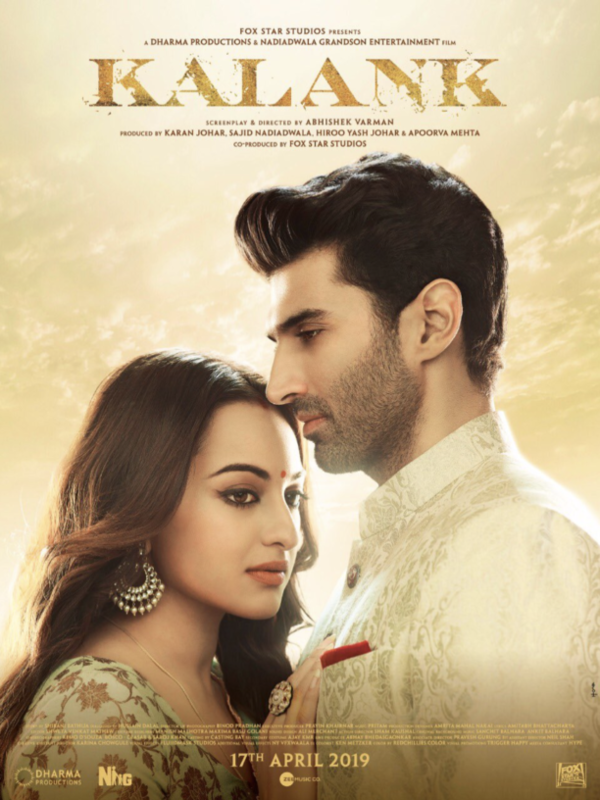 In the trailer, the audience sees impactful sequences from the film including majestic dance sequences, Madhuri Dixit’s Begum Bahaar in tears and Varun Dhawan’s character racing to reach Alia’s hand as she herself is saved by Aditya Roy Kapur amid the flames of unrest. Viewers also get their first glimpse at Kunal Kemmu’s mysterious previously unannounced character. Here is more about the film in this mini synopsis! The elite, opulent and solemn world of the Chaudhry family, and the wild, mysterious and musical underbelly of the town, Hira Mandi, clash when Roop Chaudhry encounters Zafar, a daredevil from Hira Mandi, unleashing deep-buried truths, secrets of betrayal and affairs that threaten to bring the both worlds crashing down. Set in 1945, in Pre-Independent India, ‘Kalank’ is the story of a vivid and ethereal world, lost when the fire of Partition engulfs the city and the country. It’s the story of the shades of Reds in their lives as they yearn for hues of love while Husnabad gets soaked in the reds of violence and revenge. 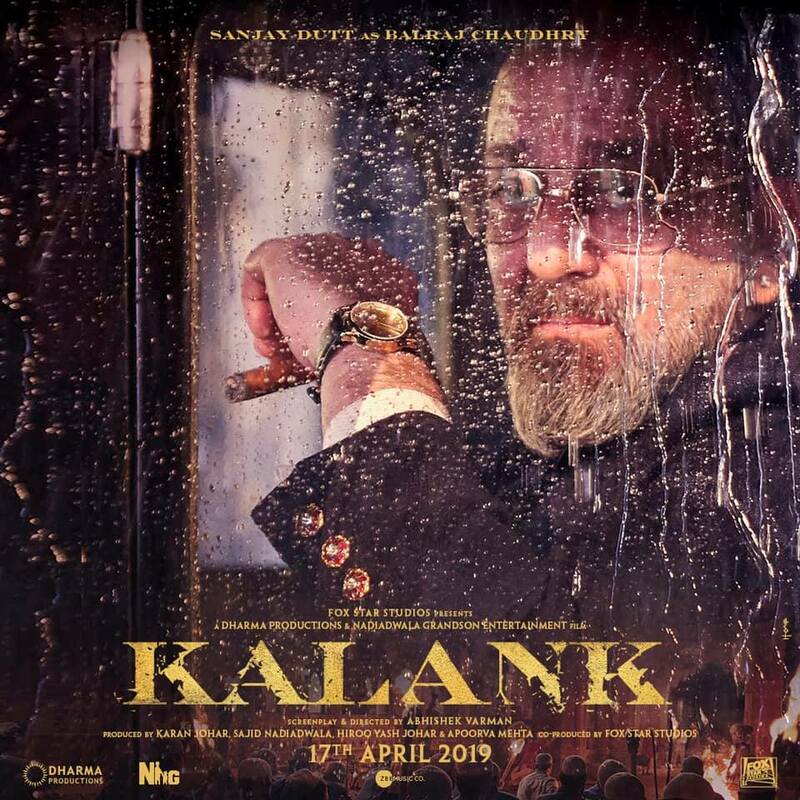 The film is also produced by Sajid Nadiadwala, Hiroo Yash Johar and Apoorva Mehta & Co-Produced by Fox Star Studios and features music by Pritam and choreography and incredible dance sequences by Remo D’Sousa. 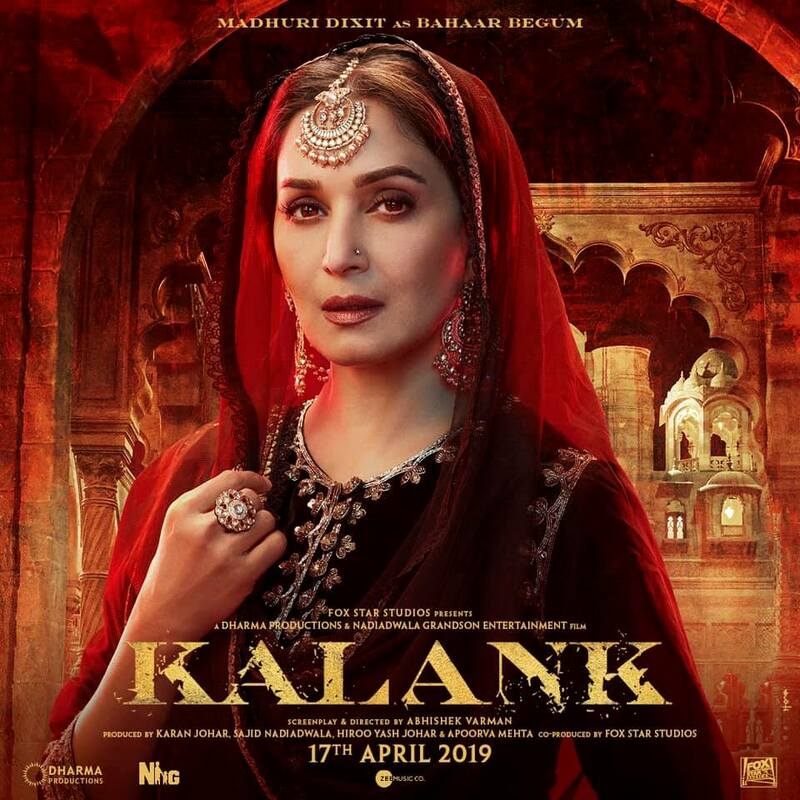 Kalank will release ‪worldwide on 17th April 2019 and after seeing this trailer we can’t wait!! 17 queries in 0.345 seconds.